January 10, 2017by Shamis & Gentile P.A. Often articles such as these really provide a misconstrued perception of personal injury protection benefits (or “PIP”). Insurance companies perpetuate this idea that PIP is rife with fraud and that the elimination of PIP would somehow be beneficial to the individual policy holder, throwing numbers like “80 dollars a premium would be saved” without any actual evidence to back this number up. Personal Injury Protection is a fantastic avenue for those involved in motor vehicle accidents to have up to $10,000.00 in no fault benefits that grant access to people who are hurt to get the treatment they deserve, and rightfully paid for by the insurance companies (because after all, isn’t that why you pay a premium?). Don’t let the insurance companies drive the narrative, PIP is fantastic for the individual. Contact Shamis & Gentile, P.A. with any PIP questions you may have. We are happy to help and always available. FORT MYERS – A Florida lawmaker is proposing a plan to do away with personal injury protection (PIP) insurance. Florida is among a handful of states that requires drivers to carry no-fault auto insurance. Every Florida driver must have at least $10,000 in PIP insurance. That pays your medical bills after a car accident, but the system has been plagued with fraud.There is mixed reaction to one senator’s proposal to do away with it. If you’re a Florida driver, you see your share of accidents on a weekly basis. Often it involves people texting and driving or distracted by talking on their cell phones. said Gary Myers of North Fort Myers. PIP insurance covers you regardless of who’s at fault in a crash, and many fear getting rid of it could make things worse. said George Moorey of North Fort Myers. PIP has been plagued by fraud since it was introduced in 1972. 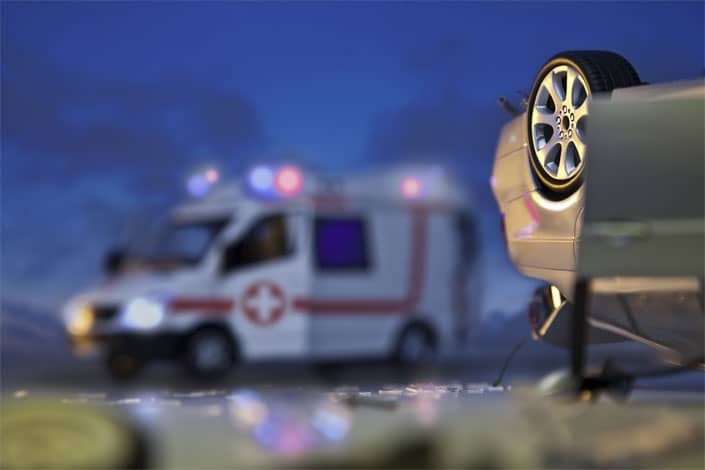 Many people have been caught staging accidents and then collecting from the insurance agencies. said Tim Shaw with Tim Shaw Insurance. Shaw said the state would have to require drivers to carry mandatory liability if PIP is eliminated. “I know other states that don’t have PIP tend to have lower rates,” Shaw noted. Currently, 16 states including Florida require PIP insurance. It’s estimated that getting rid of PIP insurance would save the average driver about $80 a year for each car you own, but is it worth the risk? Colleen Oshea of Fort Myers said no. “You know what, it’s not worth it. There’s a lot of people I would think that aren’t insured to begin with but that is why they created this law in the first place,” Oshea said. That’s just one reason. Legislators also wanted to free up the courts that were plagued with lawsuits. “Unfortunately that’s not what has really played out,” said Republican State Senator Jeff Brandes. Brandes wants to repeal the PIP law. “We’ve set a timeline of 2020 when that repeal will take place. We think that will focus us, the legislature, on coming up with solutions, what the next steps are,” Brandes said. Some fear a replacement could be worse. “I think insurance mandates aren’t something that should be forced on people by government,” said Greg Scasny of Fort Myers.